The darkness amplifies the chill of the falling snow. A shrill scream pierces the cold as we look upon the Cobblepot household. The parents, horrified by their disfigured child's appearance and behavior, threw him and his carriage into the Gotham River. 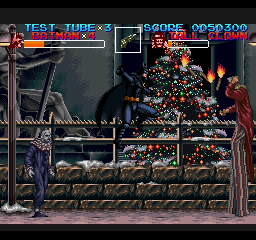 Christmas is approaching in Gotham City. But repeated sightings of a strange penguin creature have been nagging the metropolis of late. The mayor is addressing the crowd in Gotham Plaza, completely unaware of the huge red gift box that is slowly moving towards the crowd. The box bursts open and weird members of the Red Triangle Circus Gang careen through the terrified masses. Gotham City has a hero who is aware of all evil doings in Gotham City. 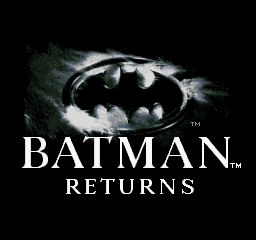 A hero that bears strength and intelligence under his dark mask, he is the mysterious Batman. He bravely stands up against all evil. The fragile peace that exists in Gotham City is re-enforced by his presence. However there is a new player in town. An adversary that creates chaos in Gotham City. She used to be the quiet secretary of Max Shreck, a powerful businessman. Frustrated by the villanous Shreck, she has transformed into Catwoman. 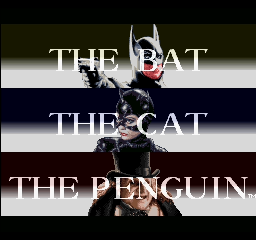 She prowls the streets in search of Batman, but will she help Batman or join with the Penguin and try to destroy him? 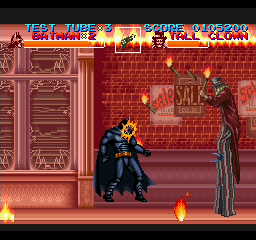 Batman's battle is about to begin! 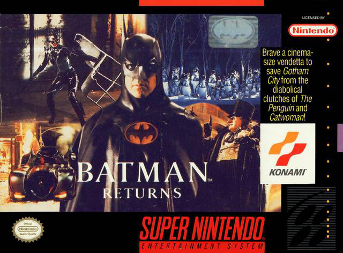 There's also a Batman Returns on NES from Konami, but it's a different game. 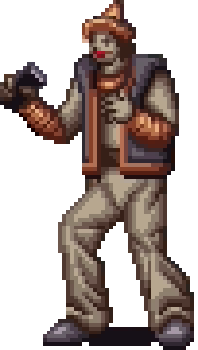 This is the only single player brawler that Konami made. 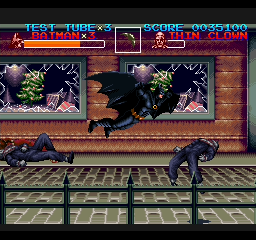 Batman Returns is another great licensed brawler from Konami. 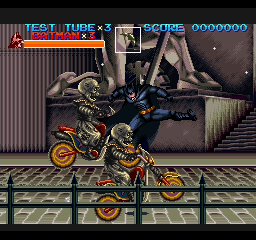 It has a cool double-grab technique as well as a Batarang that stuns enemies. The action platforming stages add some variety but are usually very difficult. The enemy variety isn't great, and the music is way too atmospheric and slow-paced for a Konami game.